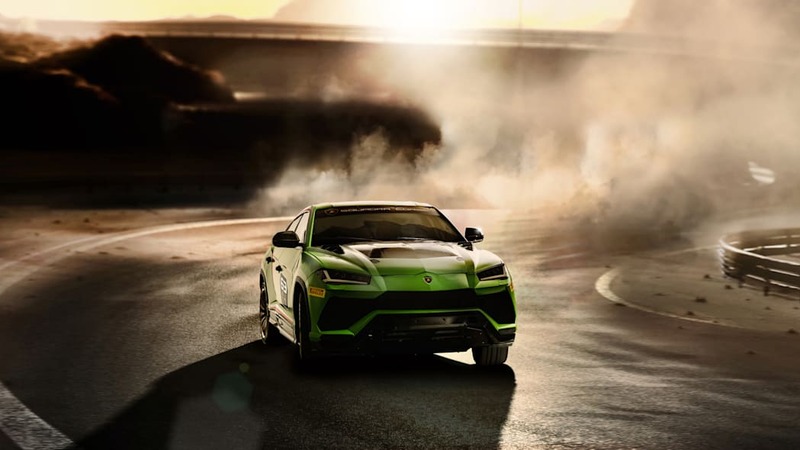 A green Lamborghini Urus ST-X, which will form a one-make race series in 2020. 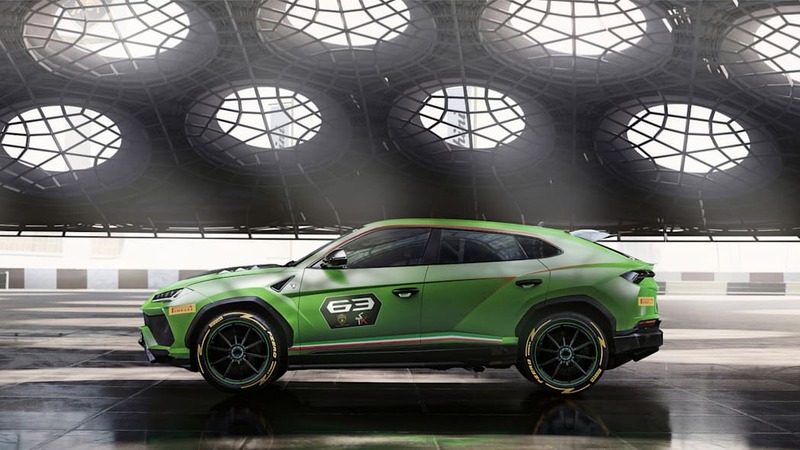 The Squadra Corse division at Lamborghini gave birth to fraternal twins over the weekend. First came the customer-commissioned, one-off SC18 Alston, an Aventador-based track-day coupe racier than the Aventador SVJ. 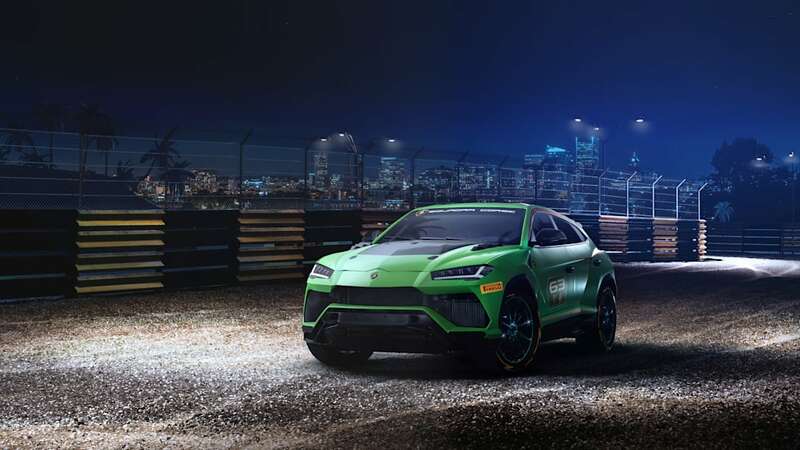 Then, at the Vallelunga circuit hosting the 2019 Lamborghini World Finals, the motorsports department revealed the Urus ST-X concept. This monster of Sant'Agata will serve a different kind of customer — namely, those who want to enter an FIA-approved one-make race series in Europe and the Middle East in 2020. 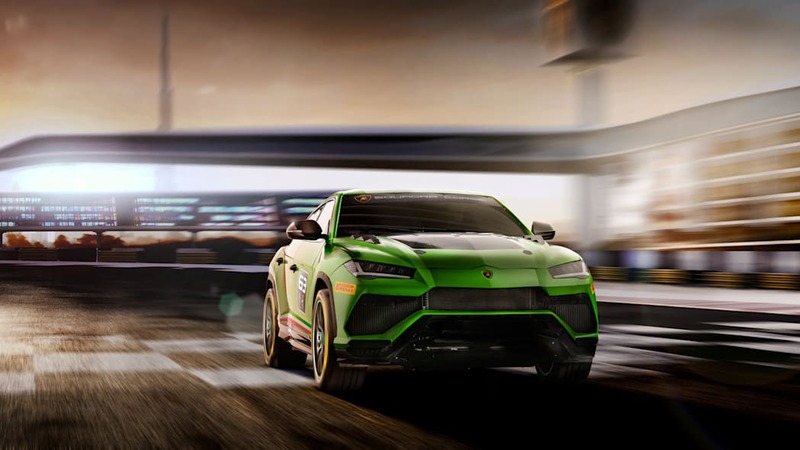 Lamborghini has supported various one-make series since it produced the 1996 Diablo SV-R. With changing times come changing ride heights and track surfaces: Lamborghini says the "single-brand championship combines racetrack and off-road track." We don't know yet if that means a single track will include asphalt and dirt, or if the overall series will include both kinds of tracks, but we hope for the former. To make the ST-X — which could stand for Super Trofeo X, based on the automaker's other current series' — ready for racing, Squadra Corse amputated a bunch of weight and bolted on competition bits. 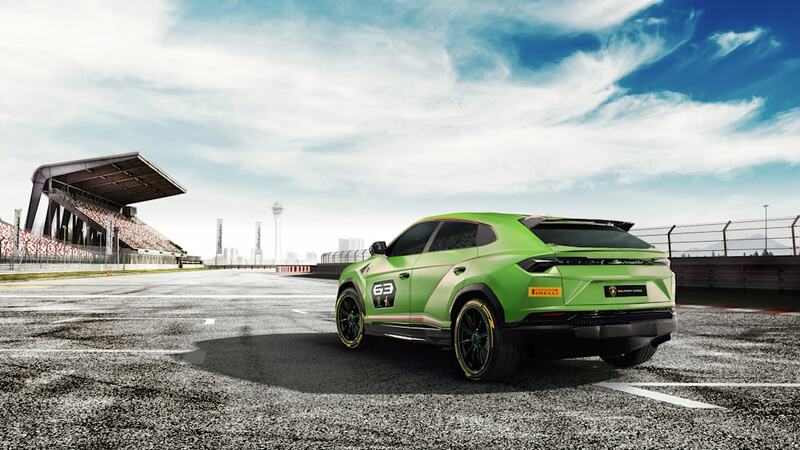 The matte Verde Mantis concept gets a steel roll cage, fire suppression system, and FT3 fuel tank. Quick release latches on the hood and modified rear hatch replace traditional locking mechanisms. The front end loses the production car's grille and aero aids, becoming a gaping angular void of mesh. A trim rear wing hovers above the backlight, and center-lock wheels fasten the 21-inch, 10-spoke wheels. The simple rear diffuser omits exhaust outlets, because the pipes have been moved to just in front of the rear wheels. 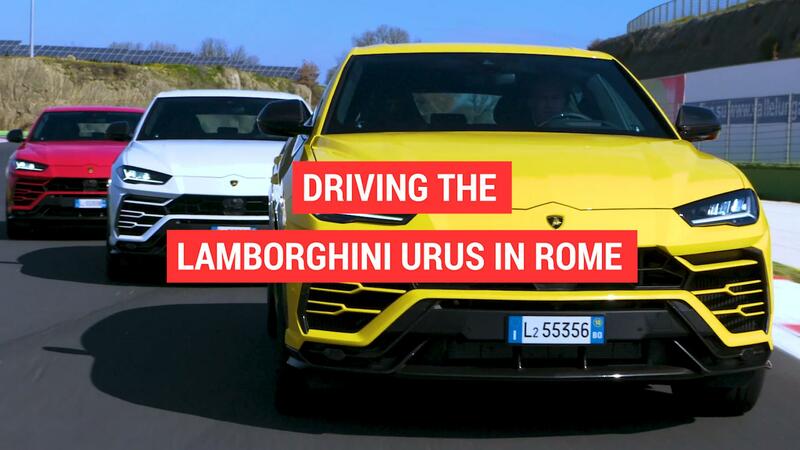 The package weighs 25 percent less than the retail Urus, or about the same as an Aventador. Although the hood gains two intakes, the 4.0-liter twin-turbo V8 remains unchanged, putting out 641 horsepower and 627 pound-feet of torque. 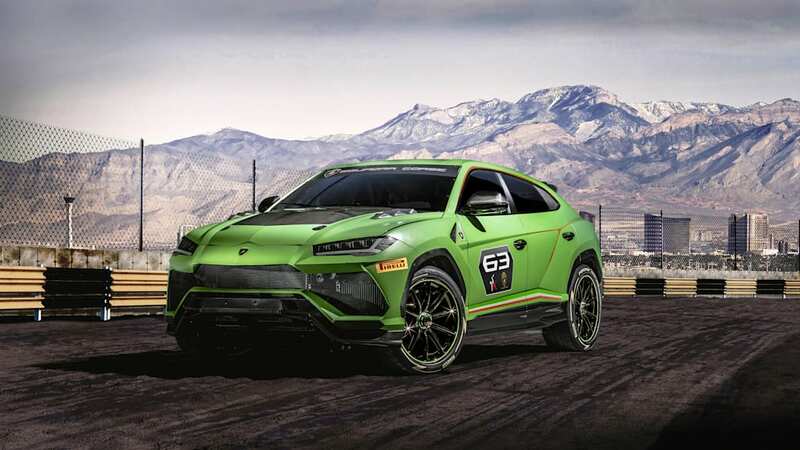 The company will put the Urus ST-X on track at some point during the six-race, 2019 Lamborghini World Finals. The mixed-surface series will host arrive-and-drive races, providing "driver-customers maximum flexibility and support during weekend events." If you got it, this seems a fine way to flaunt it.